I'm a big fan of good old-fashioned snail mail. Especially with today's technology, it means a lot to me when I receive a note in the mail. It feels more personal and thoughtful. 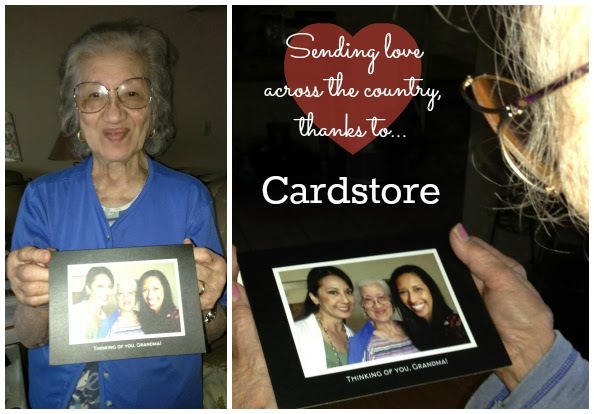 I love sending cards to my grandma, and from what my mom tells me, my grandma loves getting them. I planned on printing a photo to enclose in my next card, but then I decided to make a card using the photo. 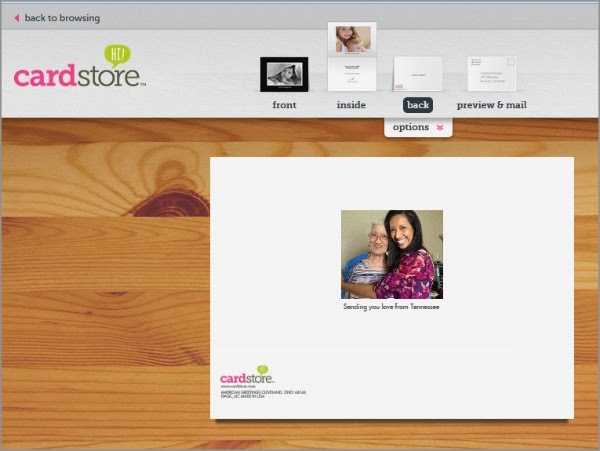 Cardstore offers the online convenience of sending a card in the mail. 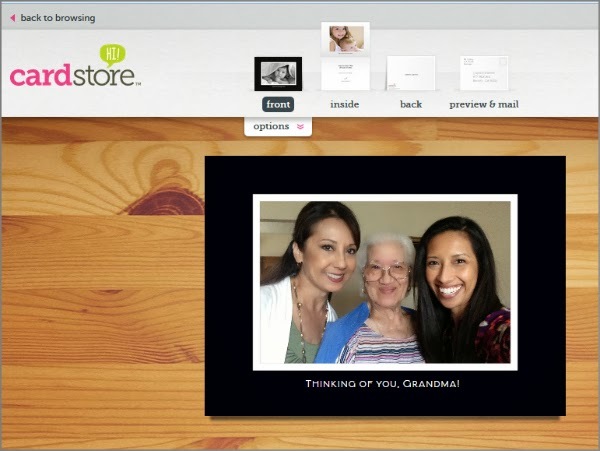 Customizing a card, including a photo in the design, and adding a personal note has never been easier. Just start by selecting a category (occasion, holiday, artist, or brand), and then choose a design. Easy. This wasn't the first time I used Cardstore. Remember last year's Christmas card? Not only did we design our card through the website, but Cardstore mailed them out for us too. Again, easy. To make the deal even sweeter, they always have some sort of discount promotion. We're getting ready to place our Christmas card order soon. Are you a Cardstore customer? Check out their cards (and stationery)! ** Disclosure: I received a complimentary card to send in exchange for my thoughts on the product. All opinions are my own. As I mentioned above, I was already a very satisfied Cardstore customer. I need this in my life! I am the worst card sender ever!!!!! Really I am checkin this out!!! Curse You, End of Daylight Savings.